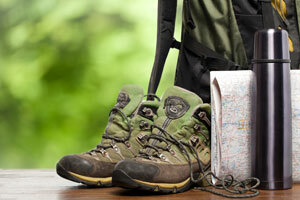 BlueRidgeHikingTrails.com-Campgrounds, Visitor Centers, Overlooks, and Waterfall Hiking Trails. Hiking Trails in the Blue Ridge Mountains, Blue Ridge Parkway, Skyline Drive and Great Smoky Mountains and more. BlueRidgeHikingTrails.com is an online informational trail hiking guide for the Blue Ridge Mountains Region covering 7 states. Starting from North to South; Maryland, West Virginia, Virginia, North Carolina, Tennessee, South Carolina, and Georgia, mountain hiking trails. The trail hiking guides will provide photos, videos, hiking information, hiking tips for each trail, and an interactive map showing GPS, elevation, speed, and duration of each hike. Whether you are a beginner outdoor hiker and just want to get out the car and stretch your legs to the avid 5+ mile hiker; this hiking trail guide will help you decide which path to take.